The harvesting of game from the British countryside goes back many centuries. 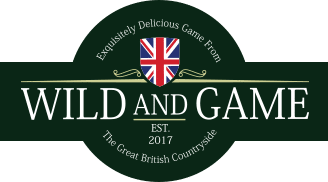 Once seen as a luxury food and priced as such, game meat is now more readily available and our aim at Wild and Game is to introduce more consumers to this delicious source of protein. ‘Game’ usually describes meat from animals and birds such as grouse, pheasant, partridge and hare. The meat is low in fat, and tastes great! We’ve developed a range of pies, pasties and sausage rolls using a high percentage of pheasant meat, along with a few other tasty ingredients, guaranteed to please all palates. We’re always on the lookout for new recipe ideas so we’d love to hear from you. Let us know your favourites and any additional recipes suggestions you may have.